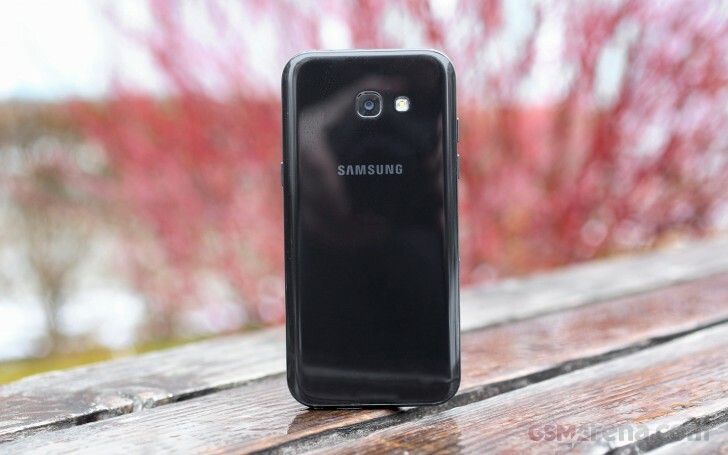 One thing is clear from this review - Samsung has got the alphabet wrong. A has never been as close to S as it is with the A (2017) series. The Galaxy A5 (2017) carries more than a passing resemblance to the reigning Galaxy S7 flagship - let's just say that if the S7 were to stumble into the A5, they'd take a selfie together. It's hard to split the two for looks and build quality, and that includes the IP68 certification. Only now making it outside of a select group of flagship or rugged Samsungs, the dust and water proofing is shared across the entire 'A' lineup this year. Same for the Home button with a fingerprint reader, complete with Samsung Pay capabilities, but that's old news - it was already available on last year's As. Another thing to trickle down into the upper midrange is the cutting-edge internals. The 14nm chipset at the heart of the A5 (2017) may not outperform the top-end silicon of the day, but its efficiency is immediately evident - the battery life of the A5 is just marvelous. The 5.2-inch Super AMOLED display is equally great - gone are the days of dim AMOLEDs with colors all over the place. This one is bright, it can be accurate if you want it to be, and it is well visible in the sun. Flagships retain the QHD resolution as a trump card, but the A5 is perfectly okay with its FullHD. 16MP cameras front and back - we can see smiles lighting up the faces of Samsung's marketing team. The front cam can be super-detailed, only you need to keep the phone a foot away from your face, and that barely fits our grown-up mugs. We don't know about you, but that's not how we like our selfies. The rear camera is a lot more balanced and a capable overall performer. Its images are detailed and exhibit mature detail rendering, pleasing colors, and dynamic range is quite wide. Build quality and materials are flagship-grade (IP68 rating, too), but the glass back is inevitably prone to fingerprints. The high-quality Super AMOLED display has excellent maximum brightness and infinite contrast and can put out punchy or spot-on colors depending on your preference. Sunlight legibility is not quite up there with the best, but it's still better than any LCD. Battery life is superb - the phone's endurance rating is 95h, and it posted excellent numbers in all our individual tests. 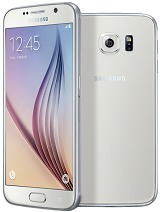 Grace UX or TouchWiz, Samsung's interface is functional and feature-rich, now also sleeker. It's still based on Android Marshmallow, which is less than ideal in 2017. The Exynos 7880 performs great if you take into account its efficiency. In absolute terms, it's an average midrange SoC that's not greatly suited to the most demanding tasks. Then again, Game launcher could help you alleviate that by lowering the resolution at which games are rendered so you get all the special effects. The loudspeaker posts a Good rating for loudness, it's nice and clear at maximum volume too. Image quality from the main camera is good - there's sufficient detail, colors are nicely saturated, and dynamic range is pretty wide. 1080p video quality is very good, so is the audio that accompanies it. The 16MP selfie camera produces spectacular results, but its focus is fixed way too close, so you're forced to choose between narrow coverage or images that are simply not in focus. 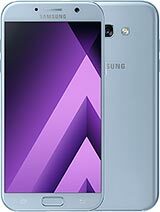 The Galaxy A5 (2017) may look like the (still) current flagship S7, but it is the S6 that it will give it the hardest time. The previous-gen top model boasts a higher-grade camera with 4K video recording and OIS, a higher-res display and a superior chipset. We'd even cautiously suggest that the much more versatile 5MP selfie shooter of the S6 wins over the 16MP one of the A5. The A5 (2017) fights back with its IP68 rating (the S6 carries none), a microSD slot, a FM radio and longer battery life, plus a Type-C port if that's a decider for you. Oh, we almost forgot - the S6 is one of the best choices if you want to take advantage of Samsung's Gear VR platform. The A5 (2017) stays quietly in the corner when the big boys talk VR. Then there are the other As from this year. Maybe you're eyeing the A3 (2017) for its pocketability, just beware that it's got a lower-res (and lower pixel density) display, a slower chipset, less RAM and storage and lower-res cameras. It does keep a lot of the important stuff like the microSD slot (though hybrid on the dual-SIM version), IP68 rating, and superb display and battery life. It's also cheaper, duh. Or, you could go one up and pick the 5.7-inch Galaxy A7 (2017) if that's available near you. Much fewer trade-offs here - the hardware is almost identical, only you'd be paying a little more for a larger diagonal and more battery (so possibly better battery life). 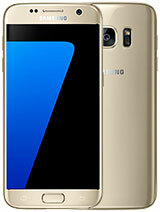 The one caveat - Samsung won't be selling the A7 in Europe - a decision which is beyond us. There's yet another option that needs to be mentioned, and it's none other than the Galaxy S7. Of course, it's considerably more expensive right now, but it's due for replacement in three months, so if you could wait, the S7 will certainly be a much better deal then. The A5 (2017) has nothing on the flagship - all the advantages over the S6 vanish (alright, there's the FM radio), and the S7 is hands-down the better phone altogether. 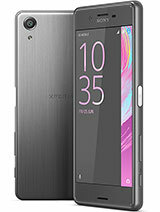 The Xperia X Performance goes for Galaxy A5 (2017) money in most markets. It's a model that's close to being a year old if you count from the announcement or half that if you consider the actual launch. The X Performance is among a select few devices to offer an IP68 rating for dust and water protection, so the A5 has found its match on this front. Not regarding battery life, though - the Sony is nowhere near. It does boast a Snapdragon 820 chipset, which it chooses not to use for UHD video, but its advantages for mobile gaming remain - it's much better suited to the task than the A5's Exynos 7880. 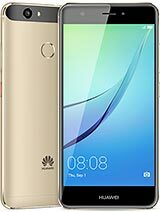 Huawei has a couple of phones to compete with the A5 (2017) for your affection. Another flagship due for replacement, the P9 is a bit pricier but has a lovely dual 12MP camera (color+monochrome) on its back and a more powerful chipset (that still doesn't support 4K video recording, mind you). The A5 is dust and water resistant, though, and makes much better use of its 3,000mAh battery than the P9. 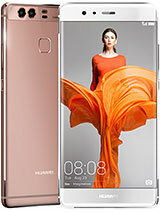 Going for the Huawei nova instead, you'd save a few notes, but still get a premium midranger - this one made of metal. Unlike the P9, the nova has a single rear camera (but then so does the A5), only it can record 4K video. Battery life isn't half bad, but it's no match for the marathon runner that the A5 is and the Samsung handset's display is superior in all respects. Did we mention the A5's IP68 rating? Well, now we have. Priced identically to the Galaxy A5 (2017), the OnePlus 3T deserves a spot here. Sure, you can't find it in a store, and claiming a warranty might be a minor pain in the...hassle, but it's hard to beat it in bang-for-buck ratio. Packing one of the most powerful chipsets available, the 3T also comes with more RAM and storage. 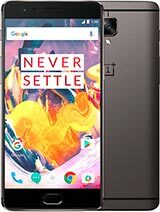 The latest from OnePlus packs 2x16MP cameras too, and both are arguably slightly better than the A5's, plus the main one can capture 2160p video. The A5 has its strengths - the 32GB of memory may look modest next to OnePlus' 64GB or 128GB (has anyone actually gotten one of those), but a 256GB microSD card can easily dwarf that, as the 3T offers no option for expansion. Perhaps you're tired of reading about the A5's water-resistance and excellent battery life, but that's only because no other phone manages to match it on both of those counts, most not even on one. The OnePlus 3T certainly can't. Going through the numbers that define the Samsung Galaxy A5 (2017) it's all too easy to focus on the negative stuff. No 2160p video recording. £400/€430. Android 6.0.1. Even that name is a bit too much - A5 (2017). Those numbers can easily be countered with a few others that ring much more nicely, but let's not get so hung up on the digits. 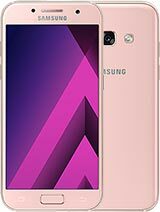 The facts are that the Galaxy A5 (2017) is beautifully-built; it will live through a downpour; it packs a screen that's only bested by flagships, and has battery life to spare. Of course, it's not ideal, and it's not cheap, but you're also unlikely to find a better match for the description in the previous sentence. Well, not unless you dig even deeper into your pocket.